Digging, planting, watering, and weeding—gardeners spend a lot of time in the sun, so they run a higher risk for sunburns than people who don’t garden. 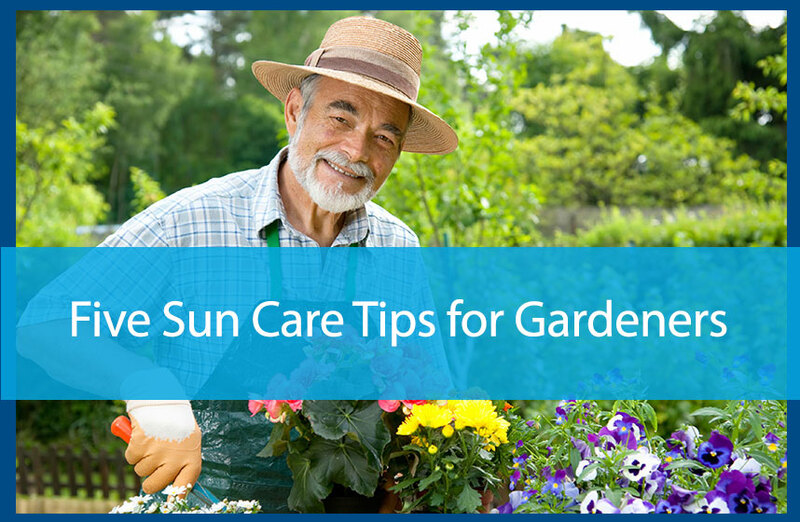 And with the CDC reporting a drastic rise in deadly Melanoma, it’s important for anyone spending a lot of time in the sun—particularly gardeners—to take precautions against sunburn. Wearing sunscreen with an SPF of at least 30 should be part of your daily skincare regimen anyway. Liberally slather your arms, legs, face, neck, ears, hands, back, and chest—any skin exposed to the sun. And don’t forget the tops of your feet if you’re wearing sandals. Remember to reapply at regular intervals, particularly if you’ll be weeding for a long time. Choose a wide-brimmed hat that thoroughly shades your face, ears, and neck. Even with sunscreen, if you are out for a while and you forget to re-apply, a good sun hat will provide extra protection for those vulnerable areas. Aside from keeping your fingernails clean, garden gloves will also protect your hands from the sun. Sunscreen often gets rubbed or watered off of the hands while gardening, so gloves will do double duty here. Weed, water, and dig before 11 a.m. or after 3 p.m. to avoid the hottest, highest levels of UV rays. During our hot Georgia summers, it’s also generally a little more comfortable to get your gardening done early in the morning when it’s cooler anyway. The plants will also appreciate it; gardening experts say that plants are able to absorb more water if you water them early in the morning. Watering them in the heat of the day can cause leaf scalding, and watering them too close to night can cause mold and mildew. White or light-colored clothing reflects UV rays away from you better than dark clothing. And there are now many types of clothing, from hats and shirts to pants, made with fabrics that have specially-engineered SPF fibers that effectively block UV rays away from your skin. Whether you are an avid gardener or not, always practice the proper sun protection techniques listed here if you are going to be in the sun. Also, get a regular skin checkup with our experts at Avail Dermatology so we can catch any suspicious sunspots early. Schedule an appointment today at 770-251-5111.